Home » Our insights » Blog » Are insurance companies incentivising people to be cavalier about their health? Are insurance companies incentivising people to be cavalier about their health? If people understood the small print in their travel insurance policy, they'd never go and see their doctor. Surely it's time for a rethink about what can and can't be excluded from the average insurance contract. Getting insurance if you’ve got a medical condition is easier and cheaper than it once was. 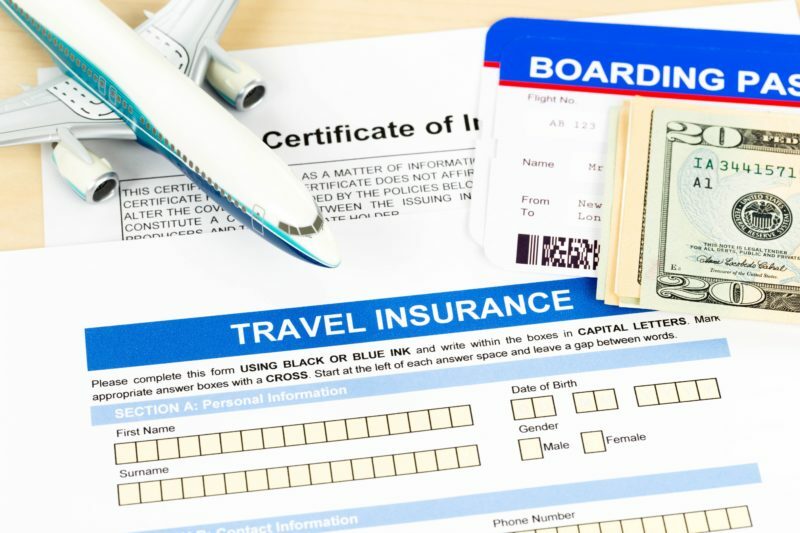 But it’s still a minefield – and one of the areas where customers get caught out the most these days, particularly when it comes to travel insurance. I spend more time than most people answering insurance questionnaires and reading policy documents. And it’s fair to say that the way insurers think about medical conditions is not the same as you or I might. And that’s where the problems begin. If you buy a bog standard, cheap travel insurance policy, it’s unlikely that an insurer will even ask you any medical questions. It will simply state that it doesn’t cover pre-existing conditions. But when you drill down into the small print, it’s clear that what an insurer deems to be a pre-existing condition can include all sorts of things – including conditions that you’ve not even been diagnosed with yet. Let’s say you go to the doctor and tell her you’ve been feeling particularly tired of late – and her response is to run some blood tests. The next day you head off on holiday, knowing that your blood test results will be waiting for you when you get back. If you then collapse on holiday because your fatigue was the early sign of something more serious, then most insurers will tell you that they won’t pay out. Of course when you went to see the doctor, you didn’t know whether it was going to be the beginning of uncovering something serious – or whether you were going to be sent on your way with some sleeping pills. But the view from the world of insurance is that they don’t want to cover you if there was even a hint that you could have known what was coming. This kind of perverse thinking creates perverse incentives. I’m a terrible hypochondriac, and often rock up at my doctor to ask about minor aches, pains and grumbles – fearing the worst. Thankfully, I’m usually sent away with a reassuring pat on the back. But once or twice, blood tests or scans have followed. Since I started reading insurance documents for a living, I’ve find myself avoiding the doctor just before I go on holiday – just in case I do end up needing to claim for something related to my most recent grumble. So while it wasn’t their intention, insurers end up incentivising people to ignore their symptoms and soldier on – rather than acknowledging them and getting them checked out. Perhaps worse still, most travel insurance policies also include clauses about the health of your friends and relatives. If you know that someone is sick, and then you need to cut your holiday short because they die or their condition worsens, many travel insurers will refuse to pay your claim. To take the insurers’ side for a moment, I do understand their logic. In essence, insurers don’t want to pay claims which were caused by their customers’ own stupidity or carelessness. So when it comes to your relatives’ health, the argument would be that if you knew there was a chance your relative might die while you were on holiday, then you shouldn’t have booked a trip at that time in the first place. In principle, that sounds reasonable. But when you consider what that feels like in practice, it’s no wonder to me that insurers are less trusted than politicians and even bankers. If your relative is dying of cancer, they might live for months or days. But people can’t be expected to put their lives on hold indefinitely – or at least not for the sake of their insurance company. Insurers need to be much braver about putting a line through their lists of exclusions and just telling their customers that they’re not going to cover them for things that they could have reasonably predicted. So if your mum’s doctor gives her 48 hours to live and you jump on a plane for 14 nights in the Bahamas the next day, you can’t expect your travel insurance to pick up the cost of bringing you home early for the funeral. Similarly, if you’ve been to the doctors and been told that you’ve probably got a serious illness, you need to talk to your insurer (and be prepared to pay more to stay covered) rather than just expecting them to pick up the bill if things go from bad to worse while you’re away. The good news is that if your insurer does reject your claim because you didn’t tell them about an undiagnosed medical condition, or about the health of your relative, there’s every chance you’ll be able to get that decision changed if you take your case all the way to the Financial Ombudsman Service. Common sense generally prevails at the Ombudsman, where many specialist travel insurers are told to change their mind in more than 50% of cases that the Ombudsman sees. But there will of course be many more people who never take their complaint that far, and who live with the disappointment and financial consequences of having their claim unreasonably rejected. The way insurance policies have evolved over the last 20 years is a real worry. Having worked with lots of insurers, I know that their intentions are good. But the way they think write their policies constantly pits them against their customers – leaving a small but vocal group of people feeling like insurers are heartless and only in it for themselves. My advice? If you’ve got a chronic medical condition, buy your travel insurance through a broker, who can make sure you end up with a policy that will be there when you need it. It’s well worth paying a little extra to go with an insurer that gives its customers the benefit of the doubt.